The Game Developers Conference is next week. I know – I’m just as shocked as you are that this small, intimate gathering of game and AR/VR industry professionals is at our front door already. We’ve begun painting the town ‘GDC’, devs are making their way to San Francisco, and I’m surrounded by enough cardboard boxes to build a small kingdom (Queendom?). As we near the event, it is time for our annual “Be a Good Human” PSA and remind you of GDC’s Code of Conduct. Read it, know it, embody it – because while there may be a new sheriff in town (“Hi!”), the rules remain the same. To recap – It is my intention that GDC remains a friendly, safe, and welcoming environment for all regardless of gender, sexual orientation, disability, ethnicity, or religion. Everyone is welcome. The expectation is that each attendee, exhibitor, member of the media, speaker, volunteer, staff member and vendor (and their guests) will behave respectfully, considerately and professionally. Think of this event as an extension of your workplace – it is not an opportunity to “let loose” and forget how to interact with each other in an appropriate manner. To act in any way that is in violation of our code of conduct simply will not be tolerated. All instances of reported unacceptable behavior will be investigated and may result in confiscation of one's badge. To be very clear – a violator’s badge will be revoked, they will be escorted off property, and they will not be refunded. End of story. Granted, as GDC’s GM, I can only control what happens onsite during the official event functions (those listed directly on the GDC website). Everything that happens offsite, in off hours, is independently managed. Should you attend related networking functions, industry parties, general meet-ups (and you should! ), remember that expectations for behavior remain the same. Be a good human toward your fellow humans. Intimidation, harassment, abuse, discrimination, sexual aggression, and the like, are never okay. One last reminder. I can only help if you come forward. If you are the victim of harassment of any kind, or a witness, please make a report. Tell me. I will do my best to be as approachable as possible, and all reports are always held in the strictest of confidence. 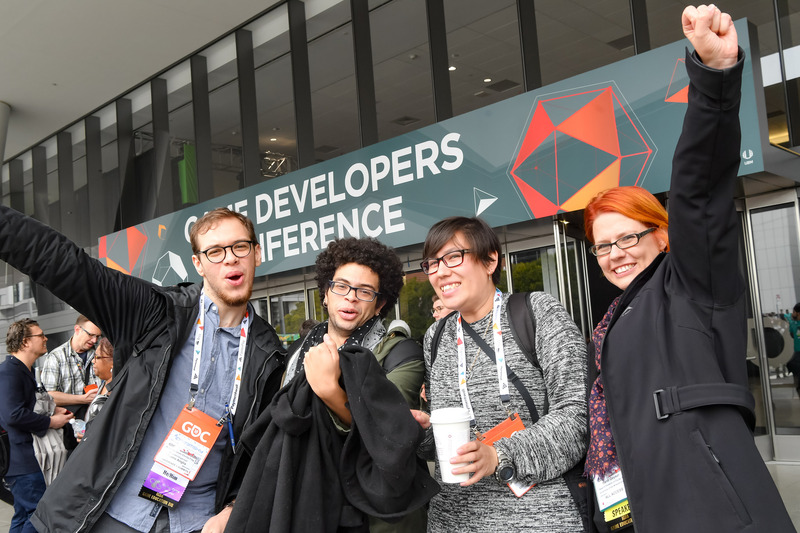 Again, read the official Code of Conduct and let’s make GDC an amazing week!